SUBARU has maintained the status quo for entry-level pricing of its new Forester. 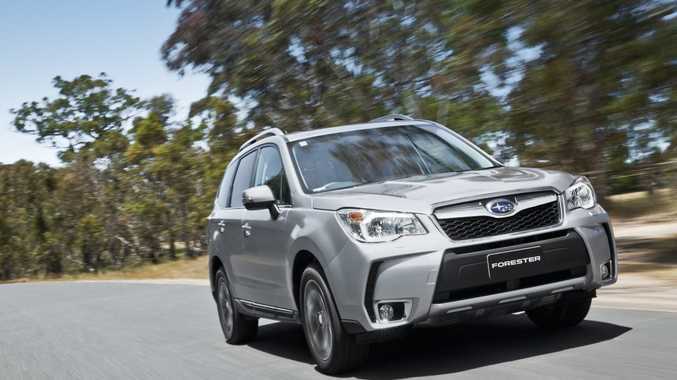 The base 2.0-litre petrol-powered Forester with a manual transmission starts at $30,990. The auto is $2000 more with a larger 2.5-litre powerplant. Topping the range is the Premium turbocharged XT, which retails for $50,490 plus on-roads. Subaru resisted the temptation to drop its prices in a competitive SUV field, instead adding a claimed $4000 worth of additional equipment over the outgoing entry-level model. Styling changes are evolutionary rather than revolutionary and the Japanese carmaker has maintained a design-friendly approach which neither excites or offends. Even the turbocharged XT model (officially launched in Victoria this week) looks sedate, going without the trademark bonnet scoop. Yet there no exterior panel is the same as the outgoing model. 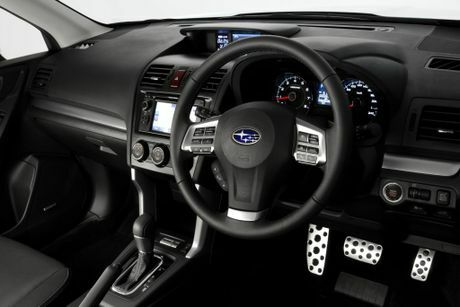 Marketing will emphasise Subaru's reputation for quality and longevity, along with its four-wheel drive heritage which enables buyers to get off the bitumen to explore the great outdoors courtesy of greater ride height than any other offering in the genre (220mm). Automatic models are equipped with X-Mode - a system which operates below 40kmh. When you press the button on the console, it centralises control of the engine which uses the all-wheel drive system to great effect. Hill Descent Control and Vehicle Dynamics Control works in tandem, and power is shifted to where it's needed most to avoid slipping and maintain traction. Across the Forester range there is an airier cabin with greater peripheral vision. It's a thoughtful yet basic cabin design which adopts a predominantly black colour scheme. Standard gear includes a CD stereo with MP3 compatibility and a USB connection, auto stop/start, Bluetooth phone connectivity and audio streaming, climate controlled air-con and cruise control. The range-topper gets an automatic tailgate, EyeSight safety functionality, sat nav, Xenon headlights, leather trim and a smart key with push button start. EyeSight is an impressive safety addition to the Forester, and uses technology such as radar cruise control and lane departure warning. It can also apply the brakes automatically if a collision is detected. The 2.0-litre entry-level Forester is only available with a manual transmission, as are the diesel variants. Subaru currently has no plans for an automatic diesel Forester. Automatics are only available on the 2.5-litre petrol and 2.0-litre turbo models. See the road test undertaken last year.